Warm yourself up this winter with a luxurious cup of organic hot chocolate. 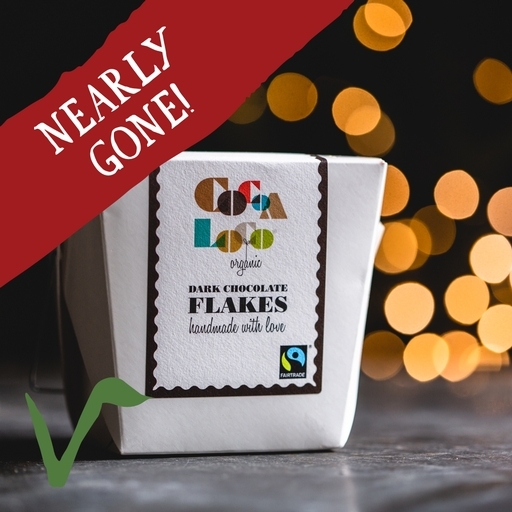 These dark chocolate flakes from Cocoa Loco are a true treat for chocoholics: rich, intense, and wonderfully decadent. Simply stir into a mugful of your favourite hot milk and settle into Christmas. Keep in a cool, dry place out of direct sunlight. Cocoa solids (55%), sugar, cocoa butter, vanilla powder.